After circling the Earth for years transmitting data, satellite Il-ho (Jeong Yu-mi (정유미) intercepts the sound of a beautiful song. Nearly at the end of its lifespan, Il-ho decides to return home and find the source of the song before its power is drained completely. Upon arriving however, Il-ho discovers a walking, talking milk cow being pursued by a giant incinerator, and upon impact with the metal creature Il-ho is transformed into the form of a girl. With the help of magical toilet paper Merlin the wizard, they discover that the milk cow is actually musician Kyeong-cheon (Yoo Ah-in (유아인), and the group try to set him free of the curse while fighting against those who would steal his liver. 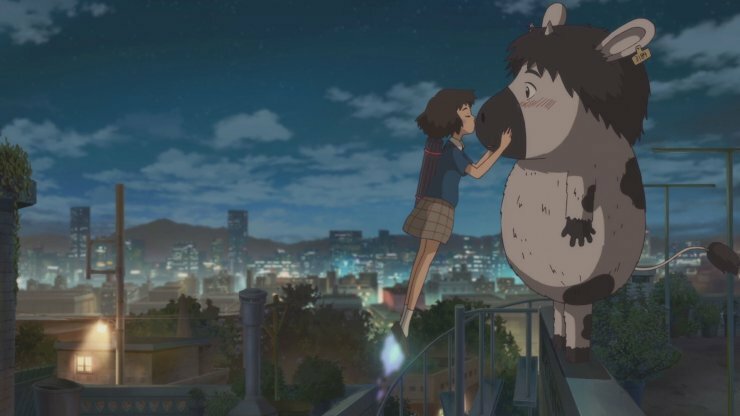 Upon release, The Satellite Girl and Milk Cow (우리별 일호와 얼룩소) had certain critics comparing it with Japanese animation maestro Hayao Miyazaki’s Studio Ghibli output, which is both huge praise as well as a disservice. Writer/director Jang Hyeong-yoon’s (장형윤) feature length is a charming animation that features wonderfully quirky and lovable characters who traverse different realms, which is undoubtedly the source of such comparisons, yet the film is also a uniquely Korean blend of sci-fi and fantasy that ultimately lacks the grace and polish of Miyazaki’s work. 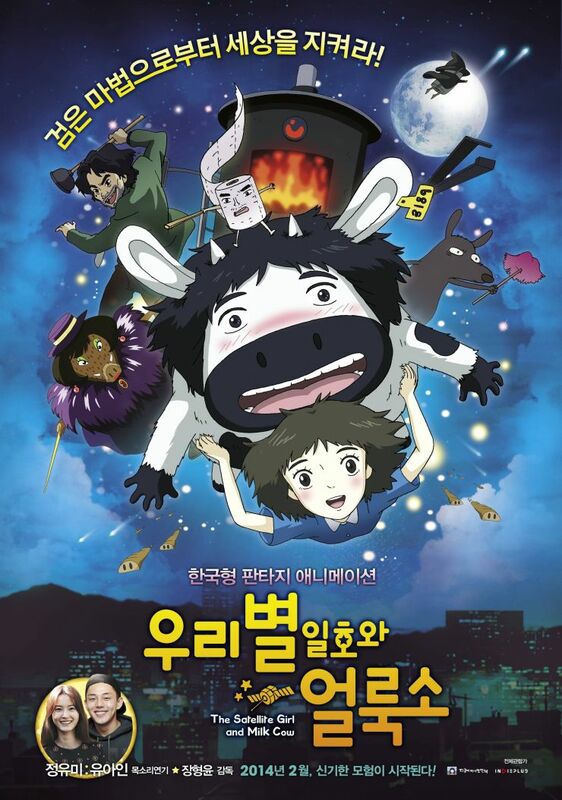 The Satellite Girl and Milk Cow is certainly one of the most entertaining and wacky family-orientated Korean animations in quite some time. Director Jang has impressively combined the conventions of science-fiction with magical fantasy and the results are consistently enjoyable and fun, particularly due to the wonderfully eccentric cast of characters. Kyeong-cheon is front and center in this regard as the visually comedic milk cow, with the obstacles he endures to become human forming the crux of the narrative. The gags often come at his expense and are often really enjoyable, especially scenes in which he has difficulties with his human ‘suit’ made of toilet paper and his attempts to continue living as he did before his transformation. Other jokes tend to come out of left field, such as literally being milked in order to pay the rent, which are quite odd yet are still amusing. Kyeong-cheon’s melodramatic character works well when playing off robotic satellite girl Il-ho and bizarre tissue magician Merlin. Their conversations and conflicts are by far the most entertaining and engaging feature of the film and drive the story forward. 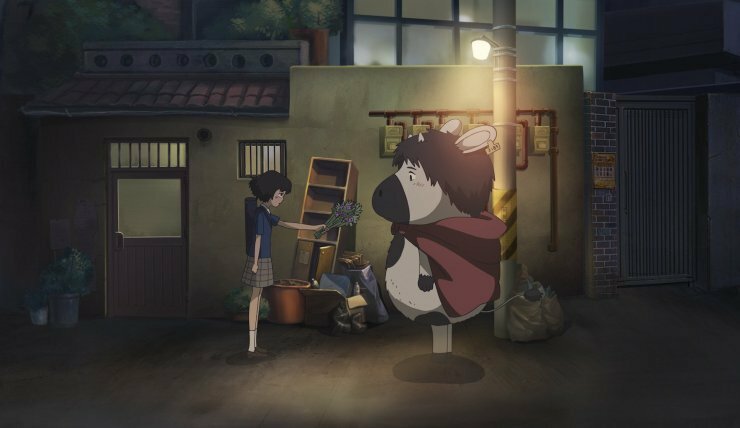 Yet while the animation is fluid and the characters charming, The Satellite Girl and Milk Cow comes undone due to the haphazard narrative. The screenplay really requires several more rewrites as the film is mostly comprised of a series of sketches rather than an overarching story, and while such vignettes are enjoyable there really isn’t a sense of a greater story being told. As Kyeong-cheon attempts to continue his life as a milk cow and Il-ho seeks to understand her purpose of existence, a variety of tangents enter the fray that stop both of them from exploring such desires, serving as fun yet distracting moments from the greater quests at hand. Such events rarely contribute to the story and often create a greater number of sub-stories that never achieve fruition. As the story tends to jump between various events further supporting characters are also introduced, including an old witch in the form of a boar as well as a shadow organisation that harvests the livers of citizens-turned-animals. Each inception holds a new and interesting concept yet they are never explored or capitalised on, and have very little impact on the overall story. A prime example is the giant incinerator, which exists solely as a central threat in the film without rhyme or reason, appearing when the story has no other place to maneuver and needs a sense of urgency. There are so many unresolved elements within the film that, combined with the unfocused central story, serve to make The Satellite Girl and Milk Cow an enjoyable but not particularly magical viewing experience. 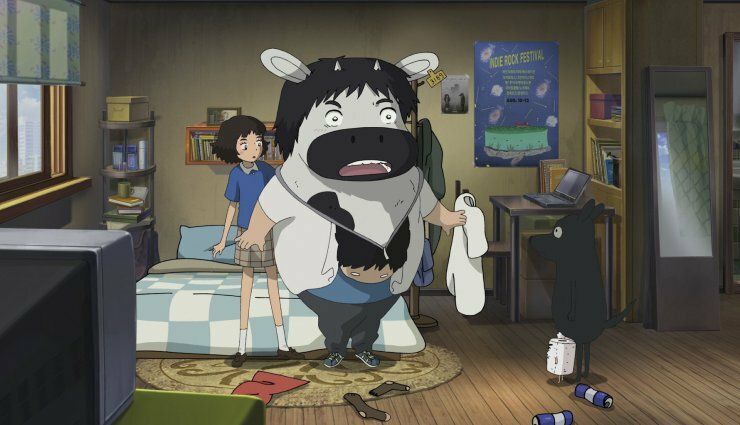 The Satellite Girl and Milk Cow is one of the most entertaining family-orientated animations to come from Korea in quite some time. It’s a charming effort by writer/director Jang Hyeong-yoon who blends the worlds of magic and sci-fi well, but it’s let down by a haphazard script and too many characters and tangents that go unresolved, making the film an enjoyable experience rather than a magical one.